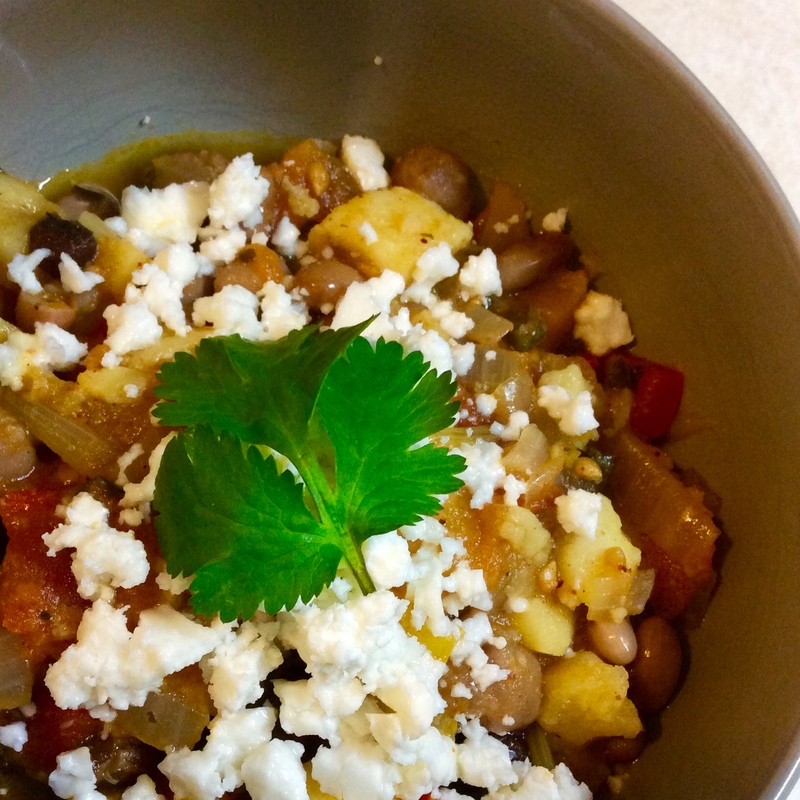 This recipe was most definitely inspired by Dinner with Julie’s Really Good Veggie Chili. One look at that recipe, and I knew what I was having for dinner. Given the recent cold snap reminding us Calgarians that it is in fact still winter here, I thought it would be a great time to share this delicious meal with you! This recipe is also a good reminder that you don’t necessarily need to include meat to create something hearty and filling for your family. If using dried beans, make sure to soak them and cook them before making this recipe. 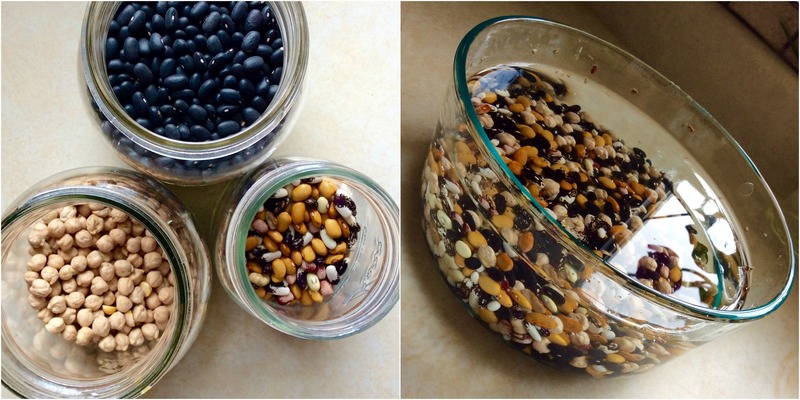 (If using canned beans, this step will go a lot faster – simply drain and rinse before adding to the pot). First, preheat the oven to 425 F. Peel and chop the sweet potato, toss in cooking oil, salt and pepper, then spread the pieces out on a baking sheet and put in the oven for about 30 minutes. Once they are golden and delicious looking, they are ready. Remove from oven and set aside. Chop the onions, peppers and mince the garlic. On the stove top, heat a fair sized pot and sauté the onion, peppers, and garlic for a few minutes until soft. Chop up the cilantro stems, and half the leaves and add them to the mixture. Add in the spices (cumin, chili powder, cinnamon). Cook a few minutes longer. Next, chop up the tomatoes if needed, and add them along with the beans into the pot, throw in the roasted sweet potatoes, and bring the whole thing to a simmer for about 45 minutes. And that’s it! To serve, sprinkle some crumbled feta on top with some fresh cilantro leaves. This recipe can serve a crowd, or in my case, it can feed 2 people for a few days. It was definitely a time saver during a busy (and cold!) week. You can find the ingredients for this recipe and more on your next trip to the Calgary Farmers’ Market!